It’s a great time of year to try something new, don’t you think? The air is clear and bright, and creativity is flowing again after a long summer of tucking inside to beat the heat. 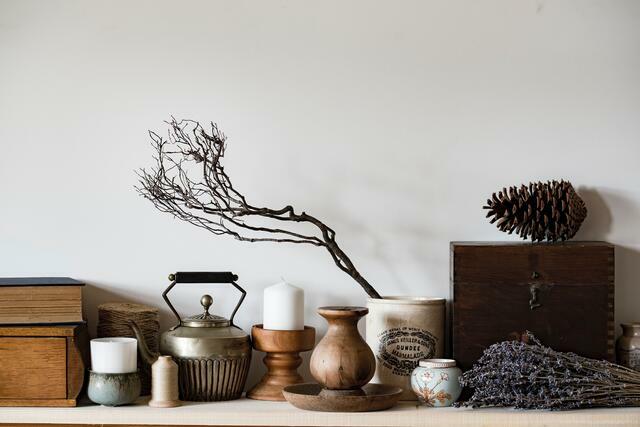 Harness the newfound energy to update your fall home décor. It will serve you well until December arrives! 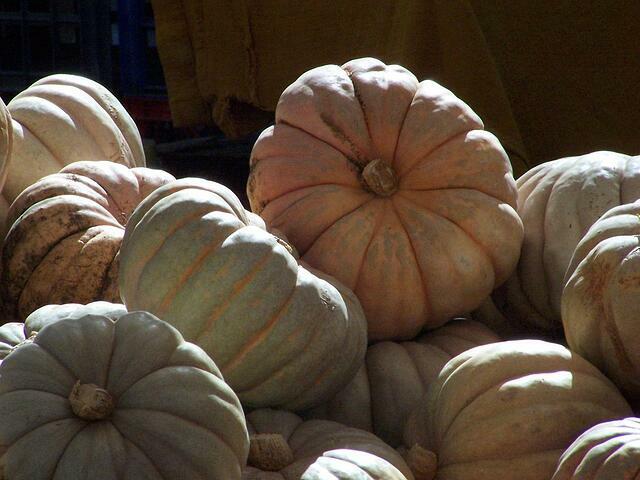 Fall home decorating has expanded way beyond its tried and true colors, themes, and fabrics. Personality abounds throughout decorating trends for creating a modern, fall home. For an easy start, choose a focal point in your home to showcase a new fall look. A fireplace mantel, a foyer, or a piece of furniture with a featured space in the room are natural spots to create a seasonal vignette. This year, go a bit rogue and invent a new color story or theme. Creativity always sparks new ideas for the rest of the house, so be prepared--you might end up with a new kitchen back splash! Today, fall decorating is so much more than the traditional trio of red, orange, and yellow. The color options have blossomed into everything from a neutral palette to a rainbow of pumpkin hues. It’s common to see pumpkins, leaves, and acorns adorned with non-typical colors and a layer of added shine from a gloss or glitter. The idea that your yard or local park has everything you need to create autumn projects is as popular as ever, because of the accessibility to materials and the inexpensive nature of pinecones and twigs. The twist is, they now are customized in colorful and unexpected ways. For a take on fresh fall décor, step out of the traditional box of colors and try schemes that are close to your heart. For more fall décor impact, incorporate a theme that showcases your home’s existing style. For example, homes on the coast often use a seaside motif. October is the month of imagination, so picture if a mermaid were decorating her home; she’d have sand white pumpkins carved and painted with sea stars and sand dollars. The cold temperatures make lush, cozy fabrics all that more appealing. The idea of comfort and home has translated into fall decorating and trendy crafts. DIY fabric pumpkins in all colors and fabrics are taking over this season. 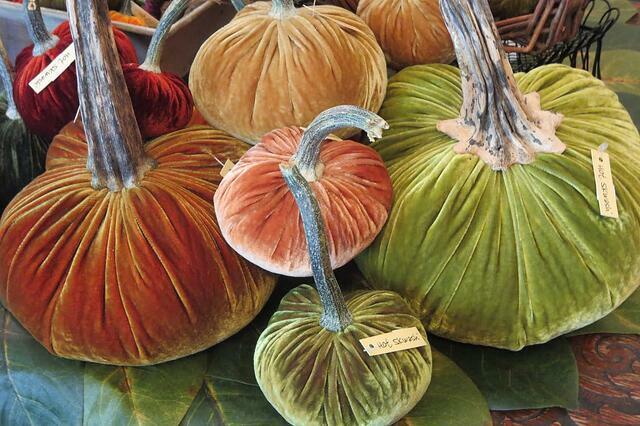 Jewel-toned velvets and neutral gray materials are crafted into works of faux pumpkin art. Pillows, blankets, and slipcovers that follow your chosen fall color scheme enhance the overall look of the room as well. They are inexpensive and very versatile throughout the fall months. Don’t forget to adorn the rest of your home, because the entertaining season has just begun! Let the colors and fabrics you’ve chosen flow into guestrooms and the bathrooms that friends and family will utilize while visiting. As the holidays draw near, refer back to MilitaryByOwner. 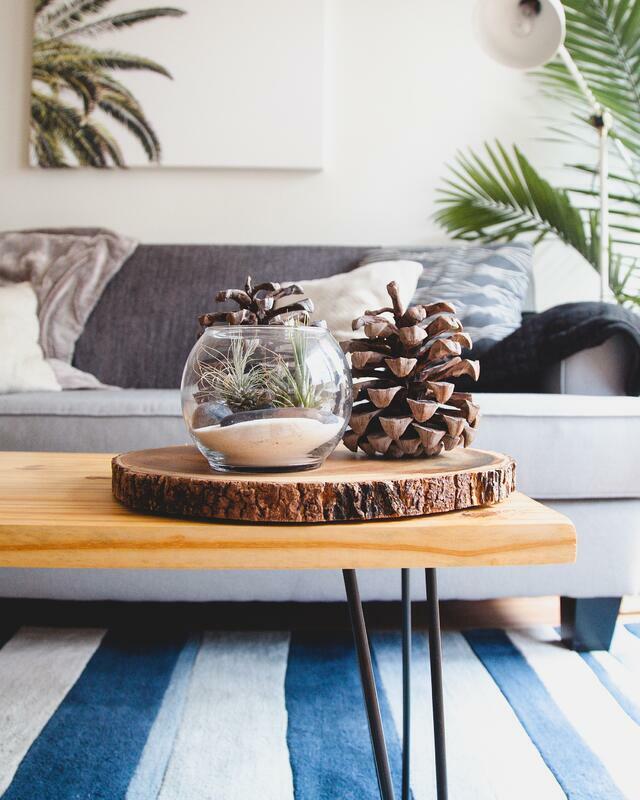 Here, you'll find how to accommodate guests, inexpensively decorate for the season, and even how to decide if the holidays are the right time to stage your home and try the seller’s market. Click below for more decorating ideas, especially if you live in a rental or military housing!